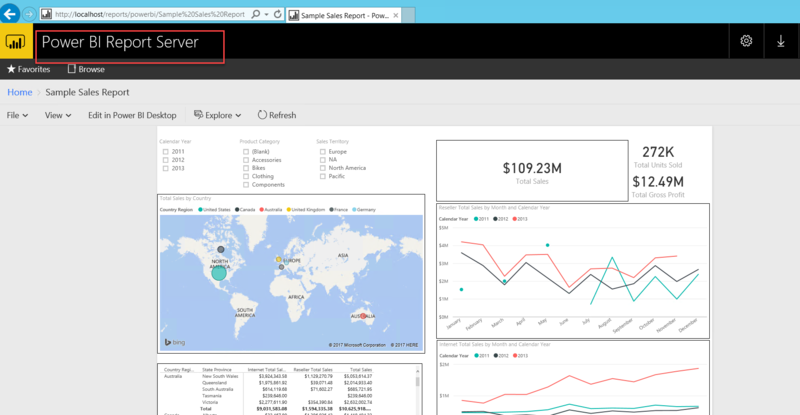 Microsoft Azure recently released clear road map of Azure Data sync. 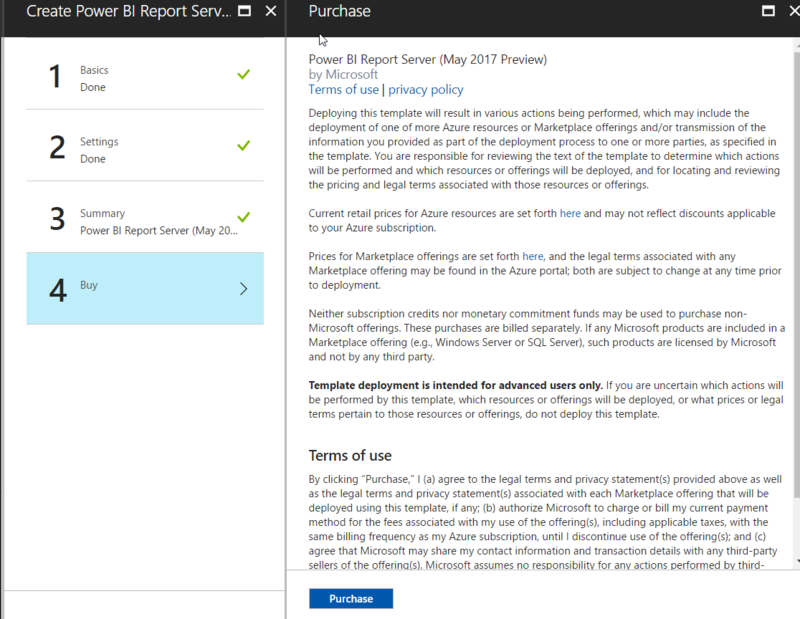 It replaces the SQL data sync service in classic portal. 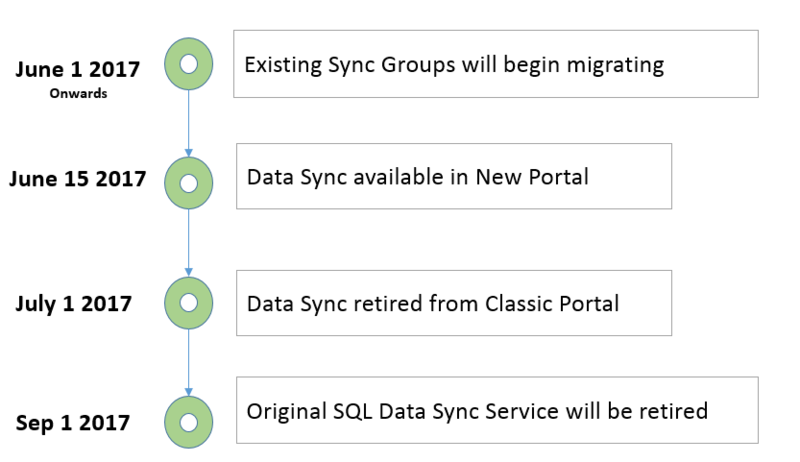 If any of the customers are using SQL Data Sync then they need to migrate those sync groups to new portal. 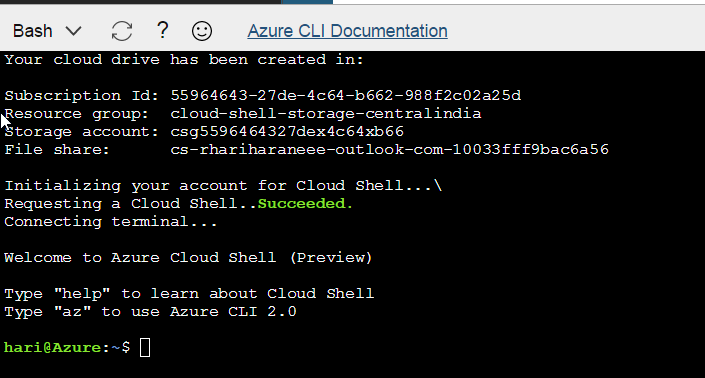 Following the announcement, Azure classic portal not allowing us to create sync and even the SQL databases also. 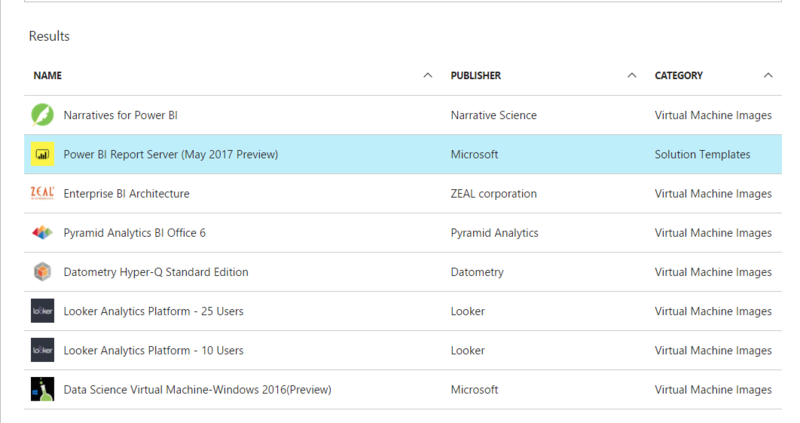 Microsoft Azure team trying to migrate all the services to new portal and in one point of time, Microsoft will remove the classic portal. 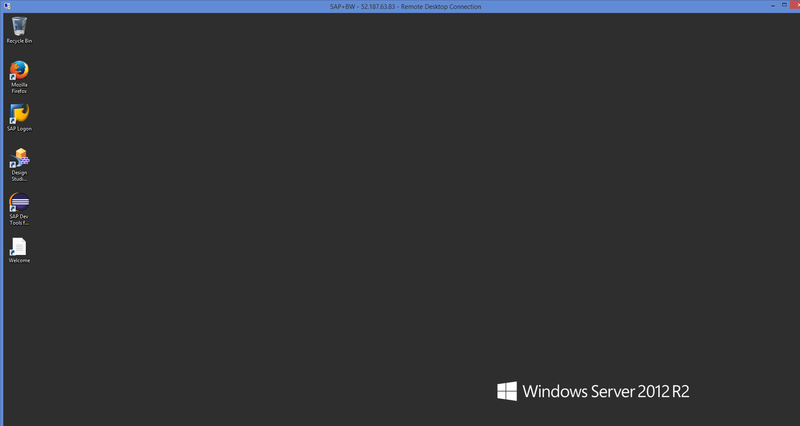 As like the previous service, this migrated service also still in preview. 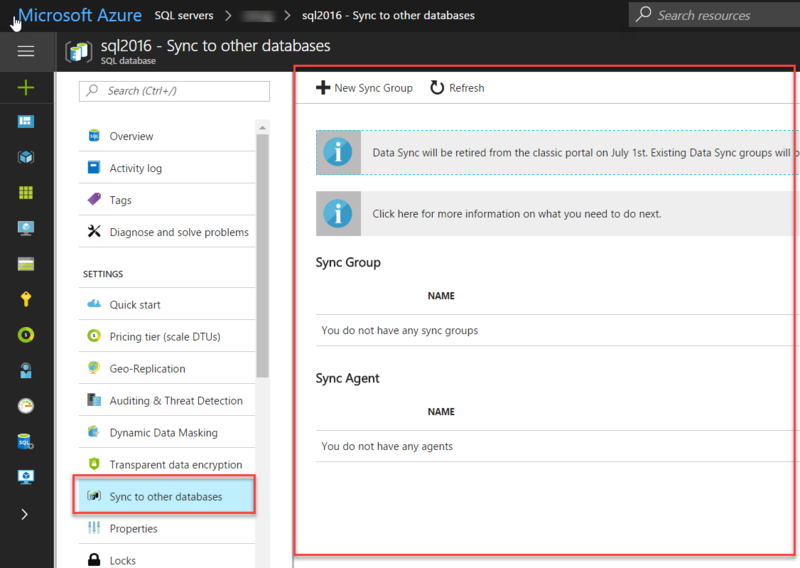 Azure Data Sync is the feature to synchronise the data between Azure SQL databases or Azure SQL Database to On-premises databases. 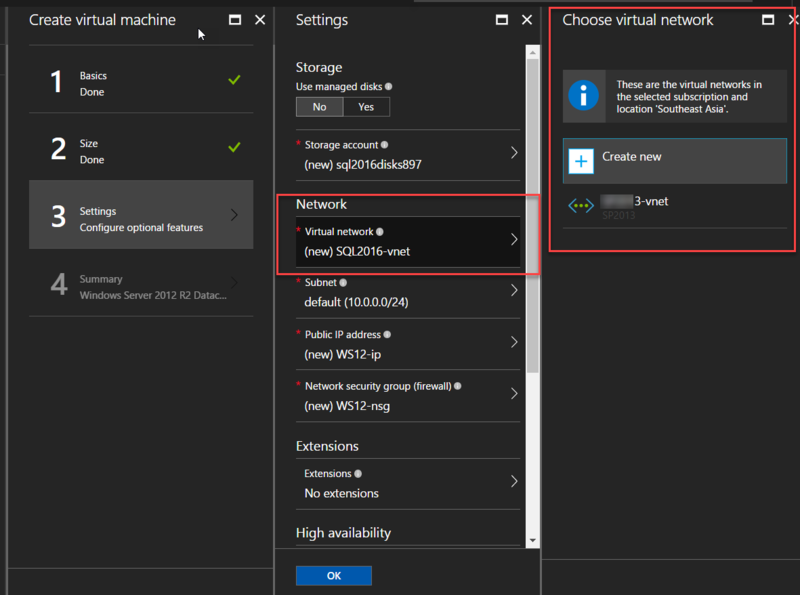 Microsoft Azure team released Azure Data Sync option in new portal. 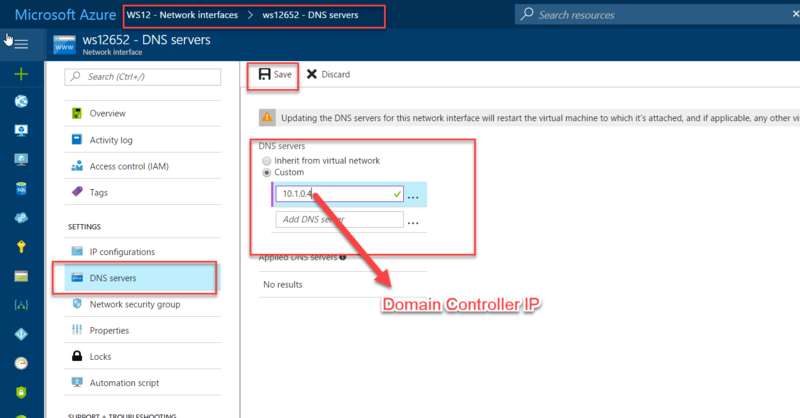 Check the below road map of Azure Data Sync update from Microsoft. 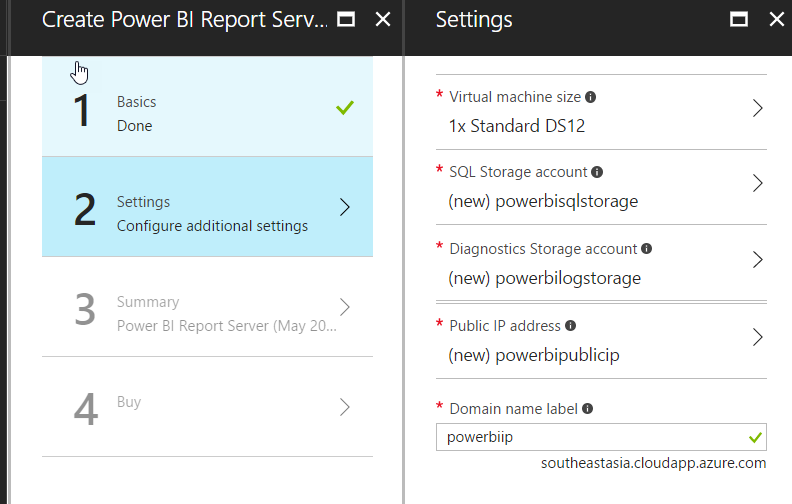 While writing this post, we got data sync option available in the new portal. Follow the below steps to check the new option in new portal. 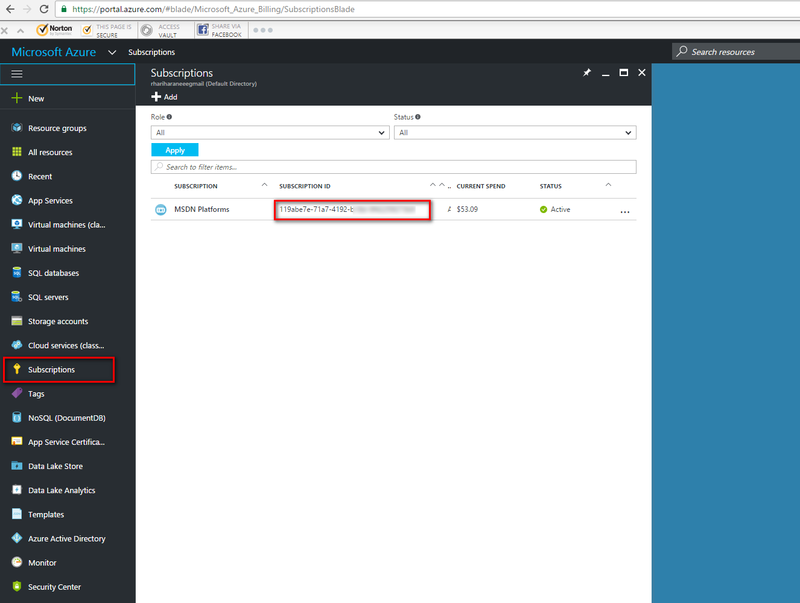 This article explains to you that how can you host your SAP Machine in Azure. 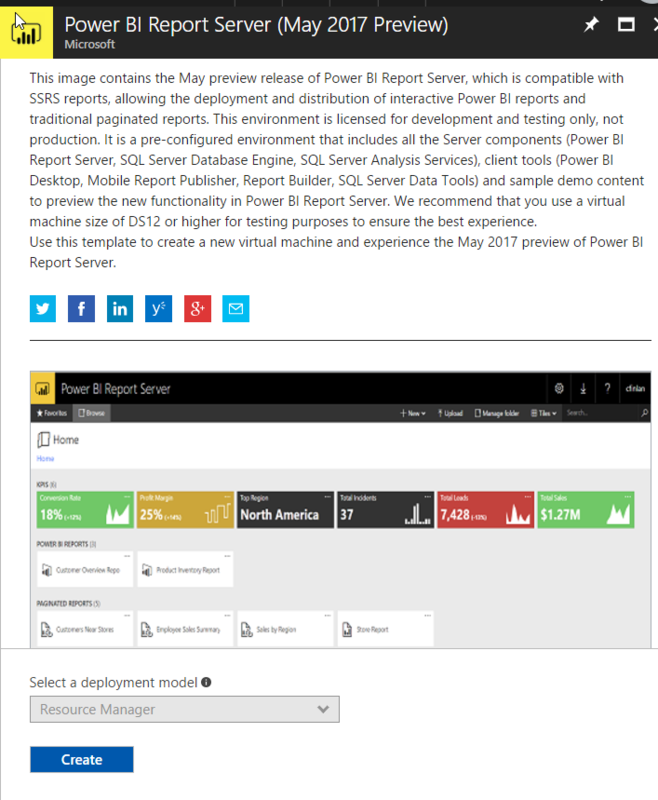 Let us host SAP BW Machine in Azure here. 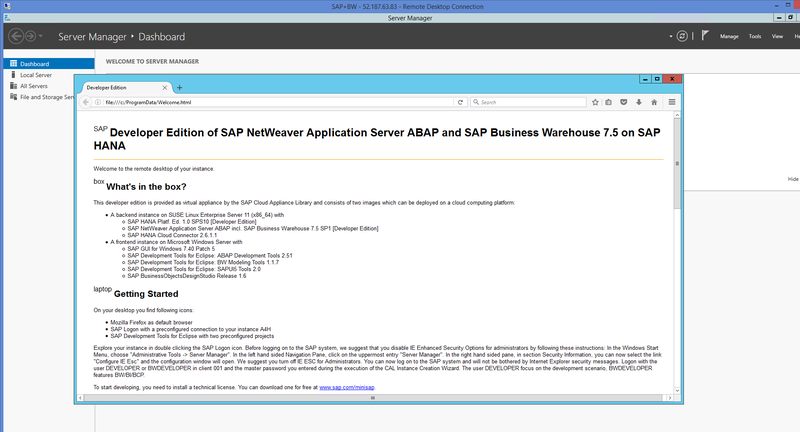 Same steps should be followed for other SAP machine templates. Step 4: Choose “Create a new account” in Account section. 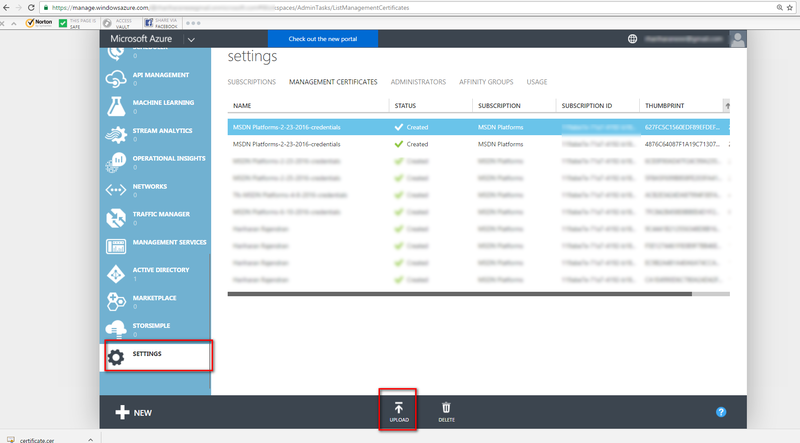 Step 5: Choose the “Microsoft Azure” and get subscription id. 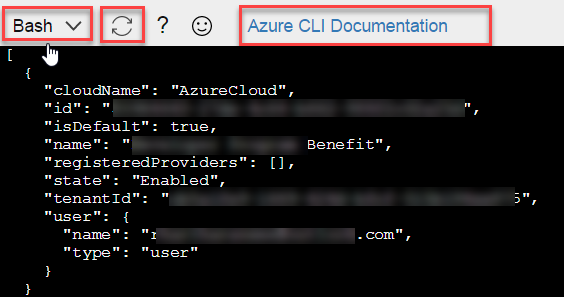 Visit portal.azure.com and log in with your azure credentials. Step 7: Click the “Download New Certificate”. The certificate will be downloaded. 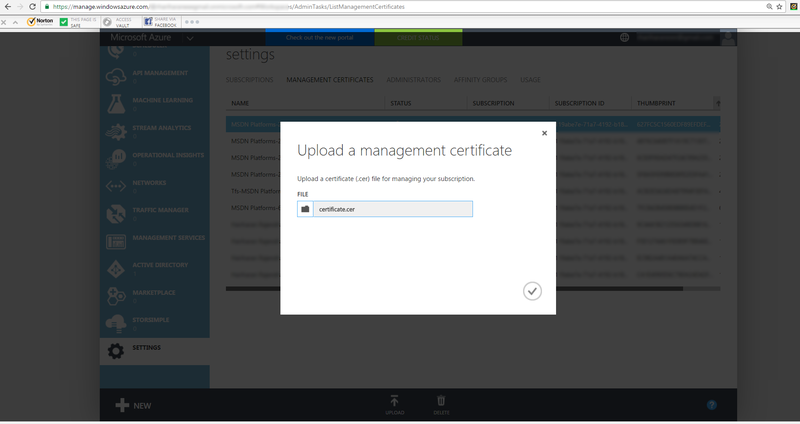 Step 8: Visit the below URL to upload the certificate to Azure management portal. 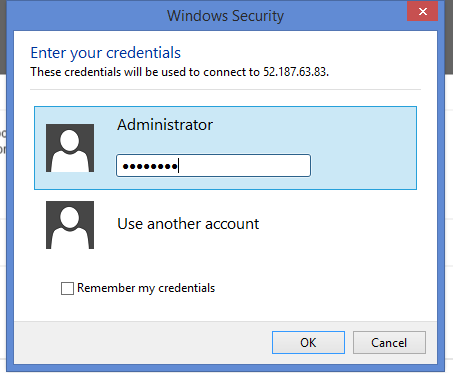 Step 9: Upload the certificate. 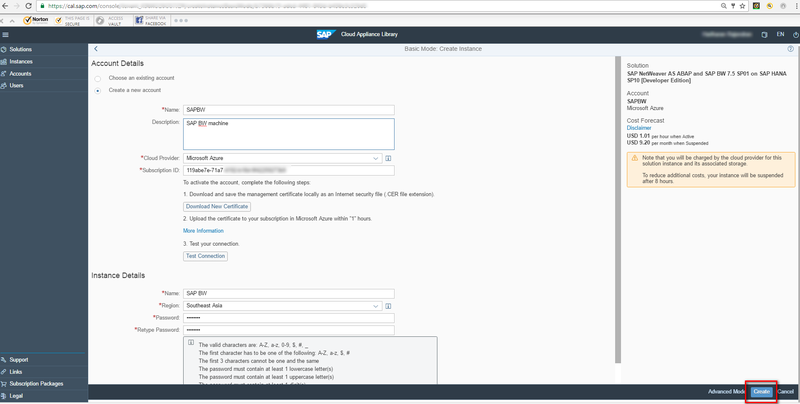 Step 10: Go to cal.sap.com URL again and click “Test Connection”. It will open the other details. 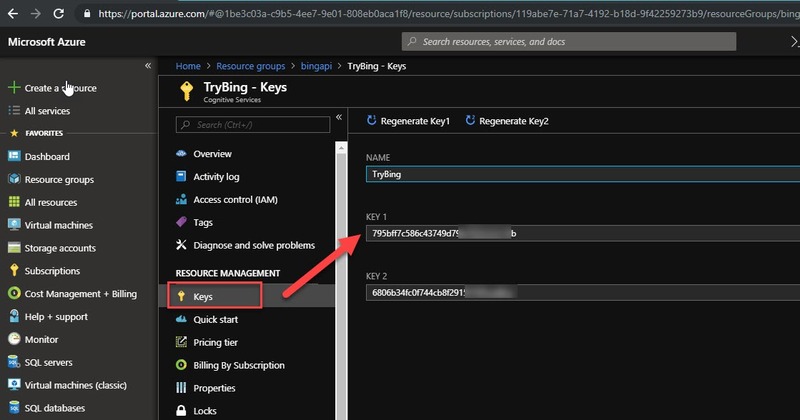 Step 12: Download the “Private key”. A message window will pop up. Step 13: Check the system status and wait until to complete the activation. Step 14: Once Status changed to “Active” then click “Connect”. 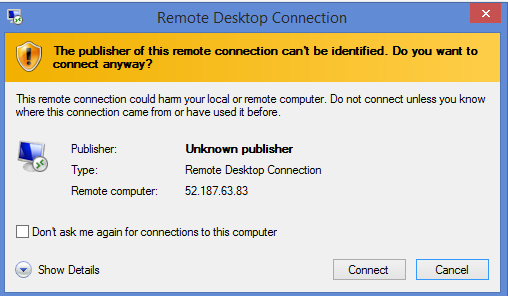 Step 15: Click “Connect” RDP. 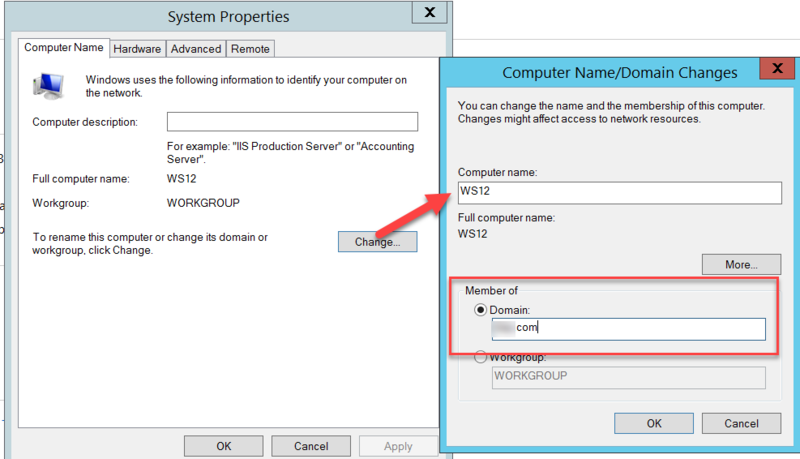 Enter the instance password which you defined. 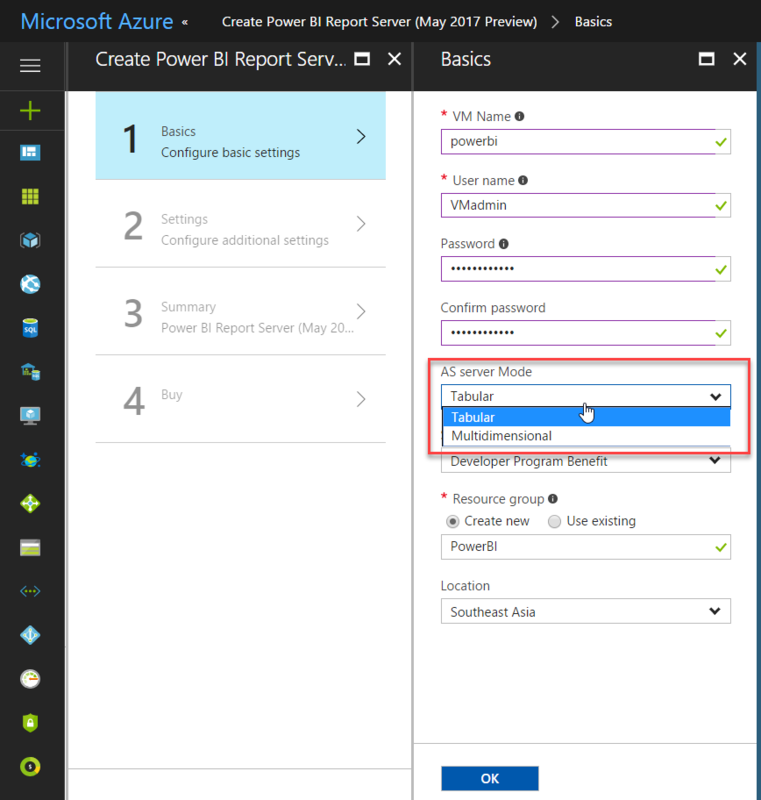 Step 16: Inside RDP, check the guide and start to use BW. That’s it. 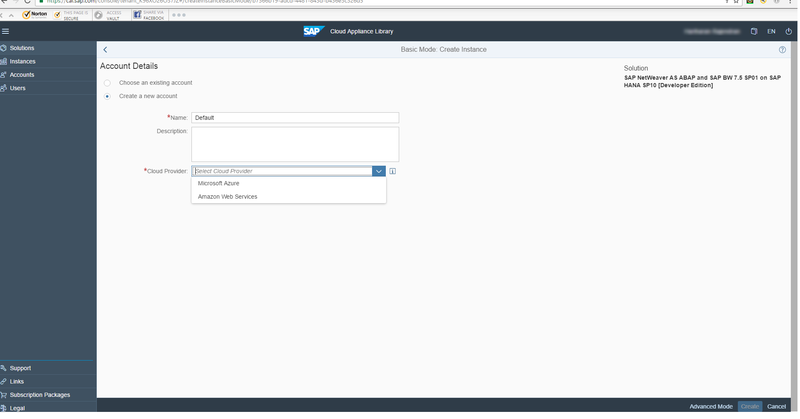 It is simple to host any template from cal.sap in Azure as like this.